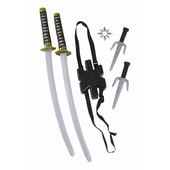 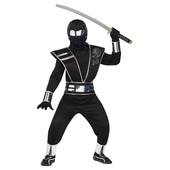 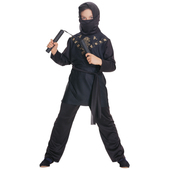 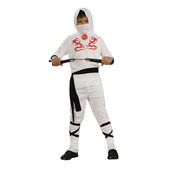 Kids Elite Shadow Ninja costume includes a black and silver top with attached armour and a pair of matching trousers. 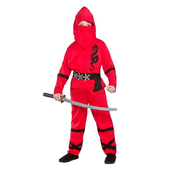 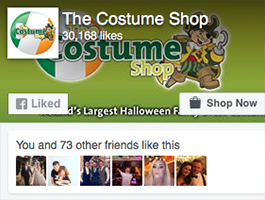 Also included is a ninja hood. 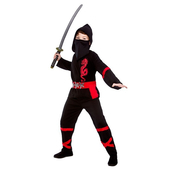 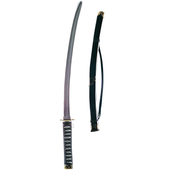 Ninja weapon may be purchased separately.